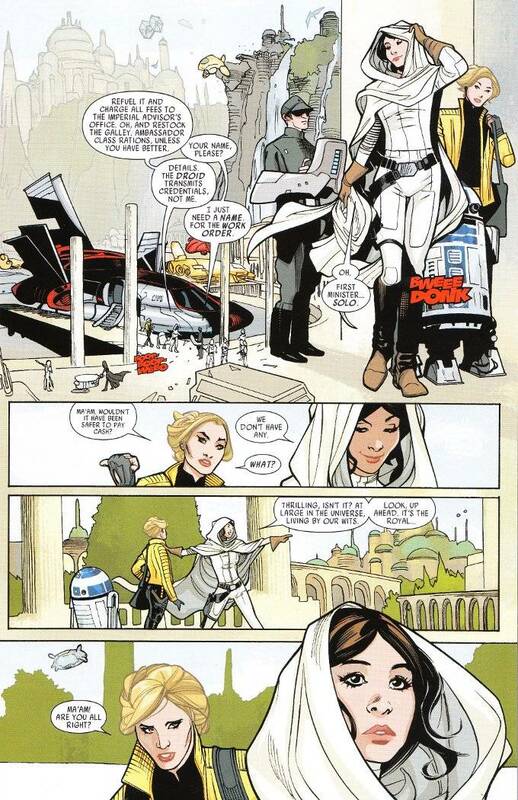 With her new companion Evann and R2-D2 in tow, Princess Leia has set a course for Naboo. Of course going to The Emperor's homeworld pretending to be an Imperial Auditor is a foolish thing. But Naboo is also home to a famous Aldereannian music group and a likely first target for the Emperor's wrath in the wake of The Death Star's destruction. Mark Waid does a lot to build the new Star Wars universe with this issue, introducing the concept of Alderaan being The Planet Of Beauty and its artistic culture being its primary export to the galaxy. This is fascinating from a scholarly point of view. Alas, the story isn't nearly as enthralling. 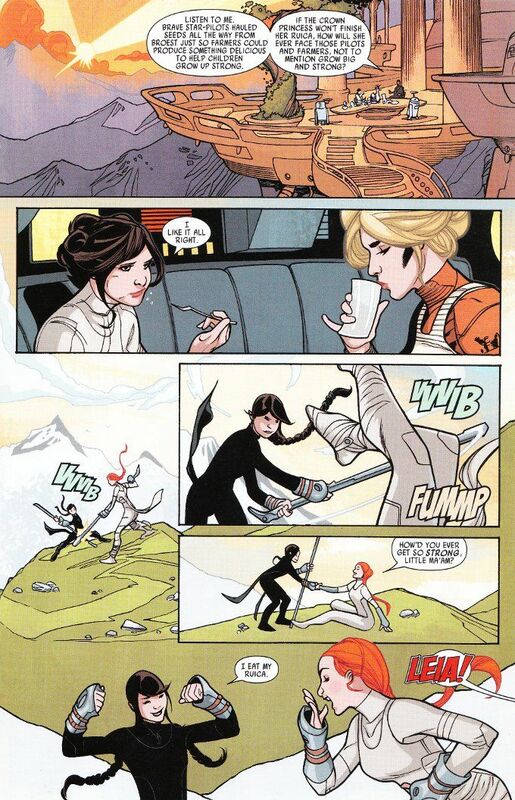 Leia doesn't seem to be as smart and capable as she should be. Granting that she does avoid an obvious ambush at the last minute, she only does this due to the incompetence of the henchmen springing the trap. Her advisor - whom Leia doesn't actually listen to the advice of - sees what is coming a mile away when Leia just happens to run into an old friend of her father's after they set foot on the planet. Even R2-D2 seems to question this! The artwork by Terry and Rachel Dodson shows why the Dodsons typically do comic book covers rather than book interiors. There is some very striking artwork in this book but those moments are few and far between. The close-ups and splash pages are divine but the actual meat and bones of the book - particularly the action sequences - are mediocre, at best.